It's Fabulous February at Little White Dress in Denver! And that means there are so many gowns to fall in love with during this love-filled month. 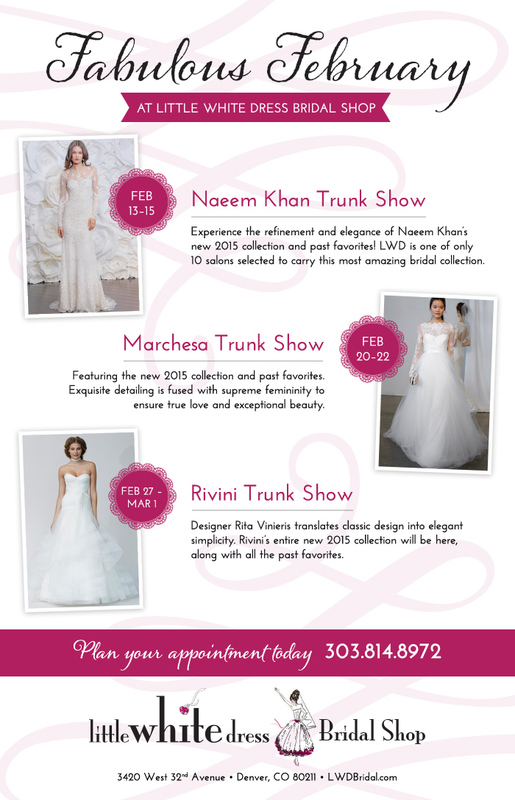 With three incredible designer trunk shows - Naeem Khan, Marchesa, and Rivini - along with new 2015 gowns from all our designers arriving daily, brides of all styles are bound to find something that makes their heart skip a beat! Call 303-814-8972 or visit our website to schedule your visit to Little White Dress during Fabulous February!